Tens of millions of people in the AT&T and Verizon service territories can only buy slow DSL Internet from the companies, yet they often have to pay the same price as fiber customers who get some of the fastest broadband speeds in the US. That’s the conclusion of a new white paper written by the National Digital Inclusion Alliance (NDIA), a broadband advocacy group. AT&T has been charging $60 a month to DSL customers for service between 6 and 10Mbps downstream and 0.6Mbps to 1Mbps upstream, the white paper notes, citing AT&T’s advertised prices from July 2018. AT&T also charges $60 a month for 50Mbps and 75Mbps download tiers and even for fiber service with symmetrical upload and download speeds of 100Mbps. These are the regular rates after first-year discounts end, before any extra fees and taxes. The UK government has set out a package of measures it’s hoping will futureproof domestic networks and boost international competitiveness by supporting a nationwide rollout of full fiber broadband and 5G mobile technology. The Future Telecoms Infrastructure Review, published today, follows the announcement of a market review last year as part of the government’s Industrial Strategy as it seeks to chart a technology-enabled course for growth and competitiveness. Yet, at the same time, the UK seriously lags several European competitors on the fiber broadband front — so the strategy is also intended to try to reboot current poor performance. The government says its telecoms plan emphasizes greater consumer choice and initiatives to promote quicker rollout — and an eventual full switch over — from copper to fiber. It wants full fibre broadband to reach 15 million premises (up from the ’10M over the next decade’ set out in the Conservative party manifesto) by 2025, and also 5G mobile network coverage to reach the majority of the population. By 2033, it wants full fiber broadband coverage to reach across all of the UK. Currently the UK only has 4% full fiber connections, which compares dismally to 71% in Spain and 89% in Portugal. While France has around 28% — which the government notes is “increasing quickly”. Included in the government’s strategy is public investment in full fiber for rural areas; and new legislation to guarantee full fiber connections in new build developments; as well as a series of regulatory reforms intended to drive investment and competition — which it says will be tailored to different local market conditions. It’s also planning for an industry-led switch over from copper to full fiber — to avoid businesses being saddled with the expense and burden of running copper and fiber networks in parallel. There’s no fixed timing for this, as the government says it will depend on the pace of fiber rollouts and take-up, but it suggests it’s “realistic to assume that switchover could happen in the majority of the country by 2030”. To boost competition to drive commercial fiber rollouts, the government is proposing regulatory reform to allow for “unrestricted access” to BT Openreach ducts and poles — i.e. the company’s own physical infrastructure where fiber can be laid — for both residential and business broadband use, including for essential mobile infrastructure. It also wants to open up other avenues for laying broadband fiber, saying other existing infrastructure (including pipes and sewers) owned by other utilities such as power, gas and water, should be “easy to access, and available for both fixed and mobile use”. And it says it will shortly publish consultations on the proposed legislative changes to streamline wayleaves and mandate fiber connections in new builds. Another key recommendation in the review, given that the expense of digs to lay fiber remains one of the biggest barriers to broadband upgrades, is for a new nationwide framework aimed at reducing the costs, time and disruption caused by street-works by standardising the approach across the country. With its planned regulatory tweaks, the government reckons that market competition will be able to deliver full fiber networks across the majority of the UK (~80%) — leaving around ~20% which it’s expecting will require “bespoke solutions to ensure rollout of networks”. And for around half of that fifth it also expects taxpayer funding will be needed to deliver a fiber/5G upgrade. It estimates that nationwide availability of ‘full fiber’ is likely to require additional (public) funding of around £3BN to £5BN to support commercial investment in the final ~10% of areas that would otherwise be overlooked — stressing that these “often rural areas must not be forced to wait until the rest of the country has connectivity before they can access gigabit-capable networks”. So it’s planning to pursue an “outside-in” strategy, allowing network competition to serves commercially viable areas while laying down government support investment in parallel on what it describes as “the most difficult to reach areas”. “We have already identified around £200M within the existing Superfast broadband programme that can further the delivery of full fibre networks immediately,” it notes on that. Although it’s not clear at this stage how the government intends to fund the full proposals for a taxpayer-funded broadband bill running to multiple billions. On the mobile connectivity front, it’s proposing increased access to spectrum for “innovative 5G services”, and says it will allow mobile network operators to make far greater use of government buildings to boost coverage across the UK. “We should consider whether more flexible, shared spectrum models can maintain network competition between MNOs while also increasing access to spectrum to support new investment models, spurring innovation in industrial internet of things, wireless automation and robotics, and improving rural coverage,” it writes on that. “We want everyone in the UK to benefit from world-class connectivity no matter where they live, work or travel,” said the new Secretary of State for digital, culture, media and sport, Jeremy Wright, commenting on the review in a statement, and dubbing it a “radical new blueprint for the future of telecommunications in this country”. “[The strategy] will increase competition and investment in full fiber broadband, create more commercial opportunities and make it easier and cheaper to roll out infrastructure for 5G,” he added. The UK’s incumbent telco, BT, which owns and operates the country’s largest broadband network, has long pursued the opposite strategy to the one the government is here pursuing: i.e. by seeking to eke out its own ex-monopoly copper infrastructure, such as by applying technologies that speed up fiber to the cabinet technology, instead of making the major financial commitment to invest in substantially expanding full fiber to the home coverage (and thereby futureproof national network infrastructure). For years competitors (and, indeed, frustrated consumers) have also accused the company of foot-dragging on providing access to its network — thereby undermining other commercial players’ ability to fund and build out next-gen network coverage. Last year BT agreed with telecoms watchdog Ofcom to legally separate its network division Openreach — around a decade after a functional separation has been imposed by the regulator. Albeit, it’s still not the full structural separation some have called for. “It is too early to determine whether legal separation will be sufficient to deliver positive changes on investment in full fibre infrastructure,” writes the government in its review, adding that it will “closely monitor legal separation, including Ofcom’s reports on the effectiveness of the new arrangements”. “The Government will consider all additional measures if BT Group fails to deliver its commitments and regulatory obligations, and if Openreach does not deliver on its purpose of investing in ways that respond to the needs of its downstream customers,” it adds. One aspect of the strategy the government is not trumpeting quite so loudly in its PR around the announcement is an intent to promote what it describes as “stable and long-term regulation” as part of its strategy to drive increased competition and unlock business investments. On this it writes that the overarching strategic priority to “promote efficient competition and investment in world-class digital networks” should be “prioritised over interventions to further reduce retail prices in the near term, recognising these longer-term benefits”. In the review it suggests moving to longer, five year review periods, for instance — saying this “could provide greater regulatory stability and promote investment”. It also writes that it wants Ofcom to publish guidance that “clearly sets out the approach and information it will use in determining a ‘fair bet’ return”. It’s therefore possible that UK consumers could end up paying twice over to help fund national fiber broadband infrastructure upgrades; i.e. not just via direct subsidies to fund rural rollouts but also, potentially, via higher broadband prices too. Albeit, the government says that in its view “the interests of consumers are safeguarded as fiber markets become more competitive”. 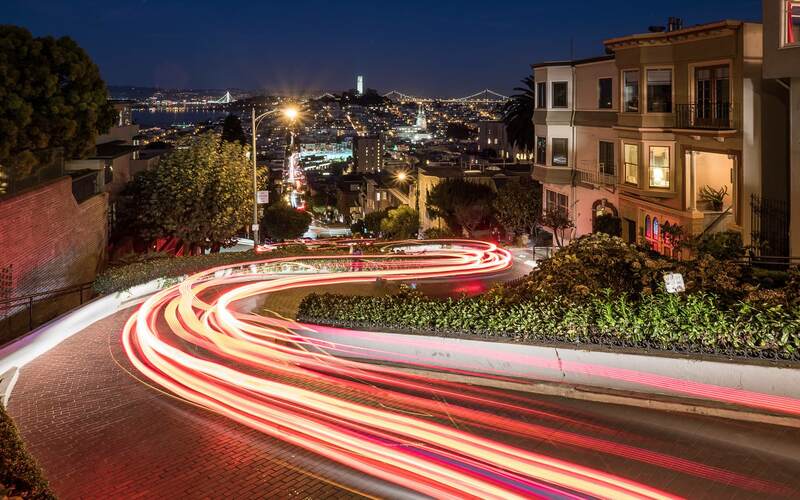 San Francisco’s plan to build a city-wide gigabit fiber Internet service won’t go forward this year, as city officials decided they need to do more research before asking voters to approve a ballot initiative. The universal broadband project “has suffered a setback as outgoing Mayor Mark Farrell will not place a tax measure on the November ballot to fund the project before he leaves office in the coming weeks,” the San Francisco Examiner reported Sunday. The deadline for Farrell to submit the ballot initiative passed yesterday. More than two-thirds of New York City’s 3.1 million households have just one or two broadband providers offering service to their homes, according to a new “Truth in Broadband” report issued by the city government. The report comes as NYC pursues a lawsuit against Verizon alleging that it hasn’t met its broadband deployment obligations. There’s only one ISP offering home broadband service at 13.54 percent of the city’s 3,114,826 households, meaning that nearly 422,000 households have just one “choice.” Another 55.44 percent of NYC households—nearly 1.73 million in all—have two broadband providers. The remaining 31.02 percent (more than 966,000 households) have at least three broadband providers. The report defines broadband as Internet service with at least 25Mbps download speeds and 3Mbps upload speeds, the same standard the Federal Communications Commission uses to evaluate broadband deployment progress nationwide. DSL offers some more choice, but the network technology “is not generally capable of delivering a 25Mbps download speed,” the report said. The report’s broadband deployment statistics are based on federal data as of December 2016. 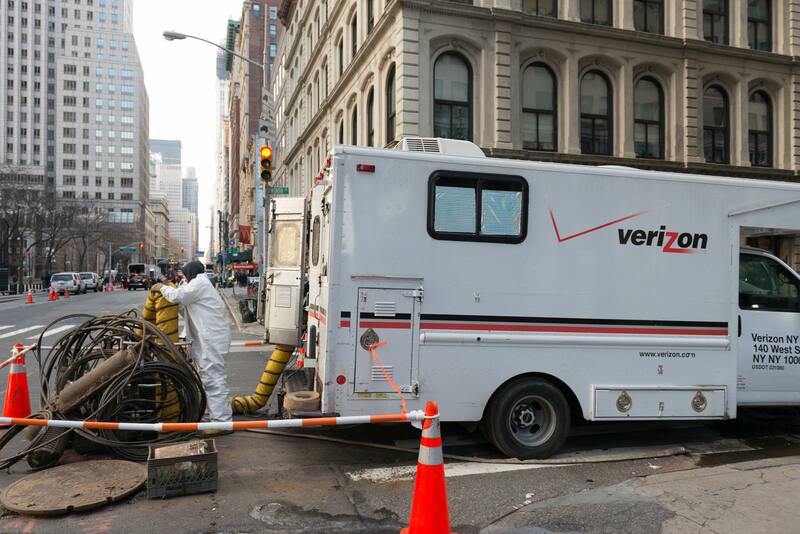 Verizon has agreed to fix failing copper networks and boost fiber deployment in New York, two years after state officials began investigating the quality of Verizon landline phone and broadband service. 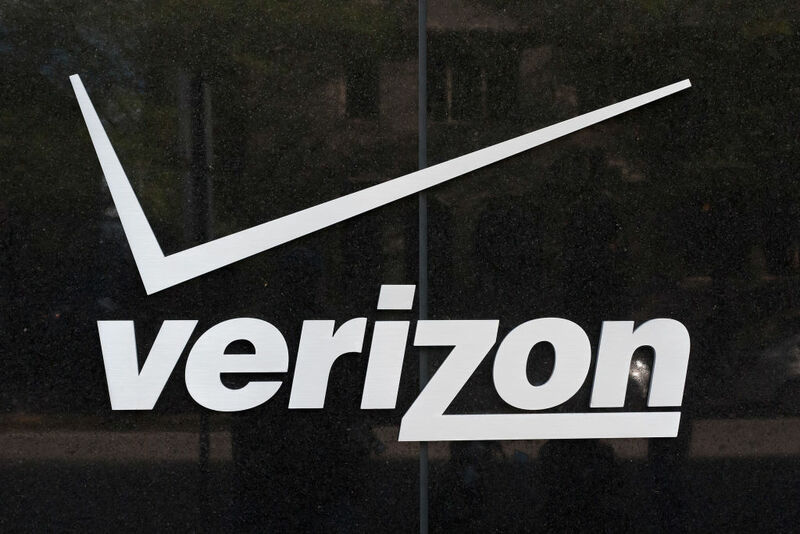 Verizon reached the proposed settlement with the union, staff at the New York State Department of Public Service, and the Public Utility Law Project of New York. The four-party settlement is still subject to approval by the state Public Service Commission (PSC). San Francisco is trying to find network providers to build a city-wide, gigabit fiber Internet service with mandated net neutrality and consumer privacy protections. It would be an open-access network, allowing multiple ISPs to offer service over the same lines and compete for customers. The city yesterday issued a Request for Qualifications (RFQ) to find companies that are qualified “to design, build, finance, operate, and maintain a ubiquitous broadband FTTP [fiber-to-the-premises] network that permits retail service providers to lease capacity on the network.” The project would also involve a free Wi-Fi service for city parks, city buildings, major thoroughfares, and visitor areas. Low-income residents would qualify for subsidies that make home Internet service more affordable. Scientists often hope to break ground with their research. But a group of Australian researchers would likely be happy with breaking wind. 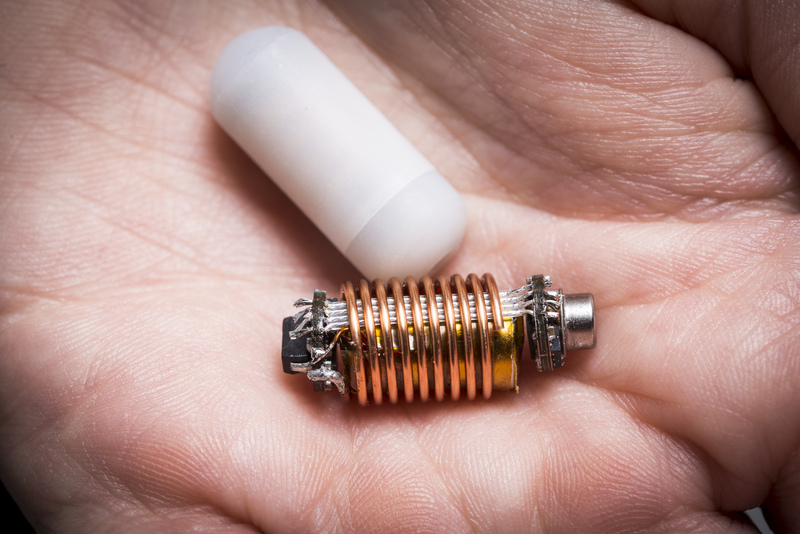 The team developed an ingestible electronic capsule to monitor gas levels in the human gut. When it’s paired with a pocket-sized receiver and a mobile phone app, the pill reports tail-wind conditions in real-time as it passes from the stomach to the colon. The researchers, led by Kourosh Kalantar-Zadeh of RMIT University and Peter Gibson of Monash University, reported their invention Monday in Nature Electronics. The authors are optimistic that the capsule’s gas readings can help clear the air over the inner workings of our intricate innards and the multitudes of microbes they contain. Such fume data could clarify the conditions of each section of the gut, what microbes are up to, and which foods may cause problems in the system. Until now, collecting such data has been a challenge. Methods to bottle it involved cumbersome and invasive tubing and inconvenient whole-body calorimetry. Popping the electronic pill is a breeze in comparison. And early human trials have already hinted that the pill can provide new information about intestinal wind patterns and gaseous turbulence from different foods. Verizon and a union representing its workers have reached a settlement requiring the company to fix thousands of problems in areas of Pennsylvania where it hasn’t upgraded its copper network to fiber. 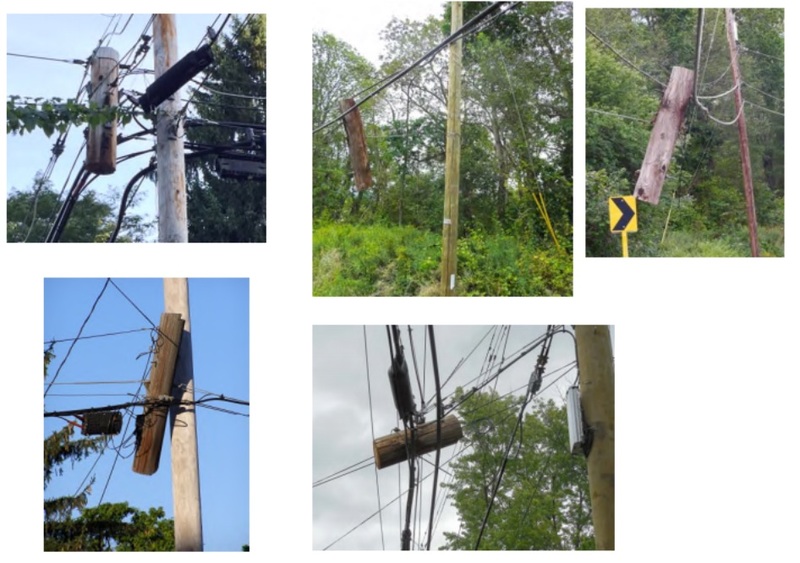 The settlement of the union’s complaint “will require the company to repair and replace bad cable, defective equipment, faulty back-up batteries, and to take down 15,000 double telephone poles,” the Communications Workers of America (CWA) said Friday.